For each major festivity celebrated in the country. 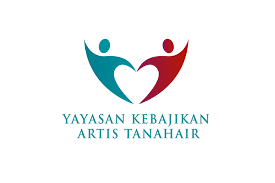 Yayasan Kebajikan Tanahair (YKAT) will never fail to do its part in contributing an amount of RM 2000.00 for each artistes. This year during contribution ceremony in view with Christmas & Chinese New Year celebration YKAT will be contributing the stated amount to the 15 local artistes who come from different racial background; Malay, Chinese and Indian. Apart from that they will be given a Khairat card fot the artistes who are 69 years old and below. The ceremony will be held on 15th January 2019 at EDC Hotel Kuala Lumpur. This will help lessen the artiste’ burden in funding for the celebration of the festival the following week, especially to those who are celebrating the festival. YKAT will be donating the amount to 60 years old and above artistes. This contribution is one of the agenda and mission YKAT that is being held true since the incorporation of the organization in 2012. For each of the individuals, YKAT has contributed a total of RM 2000.00. This had more or less help lessen the burden for these three individuals. Besides the monetary aid being given, smiles and happiness had been brought upon them with friendly faces of those from the local entertainment industry, through these visits by YKAT. For the Christmas & Chinese New Year contribution, the artistes who will be receiving them is as per attached name list. The total amount that will be distributed by YKAT for this particular event will be RM 30,000.00.